W7500 - Refurbished Units Available Here! Accredited internationally by the TUV Rheinland consortium, the W7500 delivers ultra-smooth 1080p images in both 2D and 3D content. Additionally, users can now convert their 2D content to 3D! Powered by DLP Link™, users enjoy 3D content comparable to professional cinematic quality free of crosstalk with no need of an additional 3D emitter. For optimal color precision, the W7500's color is built to match one of the highest high-definition video standards seen in professional-grade home projectors today—native Rec. 709 color gamut. By matching the Rec. 709 standard, the W7500 displays life-like colors to all projected images. This special mode minimizes the appearance of motion blur and judder to give you an ultra-smooth view of all the action – especially in fast moving scenes found in movies and or sporting events. The Frame Interpolation technology estimates the motion changes from frame to frame and inserts an interpolated frame in-between existing frames, resulting in smoother, life-like motion quality. 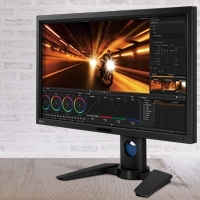 BenQ's unique picture adjustment system gives you the freedom to fine-tune hues, contrast, brightness, color temperature, and gamma and white balance levels to personalize your cinematic experience. Panamorph™ lenses allow you to show 2.35:1 aspect format video – such as major studio movies - in their original widescreen format at the maximum resolution with no image distortion or letterboxing. The W7500 features horizontal and vertical lens shift offering users multiple installation options for their home theater preference. 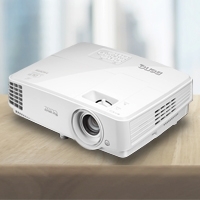 The W7500's 1.5x Big Zoom feature frees up space with an impressive range of throw distances; giving you the freedom and flexibility of placing the projector anywhere without having to compromise your current decor. Obtaining professional results is easy with the Imaging Science Foundation's highly reputed ISFccc calibration service. Coupled with two optimized modes--ISF Day and Night mode-- and calibrated by ISF technicians, the W7500 allows you to enjoy a perfectly calibrated picture for your home entertainment. 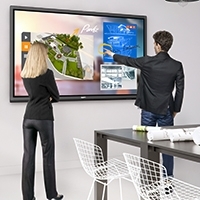 ecoFACTS can tell you how eco-friendly BenQ products are! 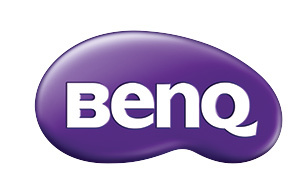 BenQ does not just want to comply with green regulations passively, but also to actively develop eco-friendly products! ecoFACTS declares BenQ's greatest efforts on the replacement of hazardous substances, material selection, packaging designs, energy-saving designs, and other aspects surrounding the product. 1. One (1) yearsfrom the purchase date by the original retail purchaser (the "Customer") (except for lamps as specified below and refurbished units which have a separate warranty policy), parts and labor only (No advance replacement).